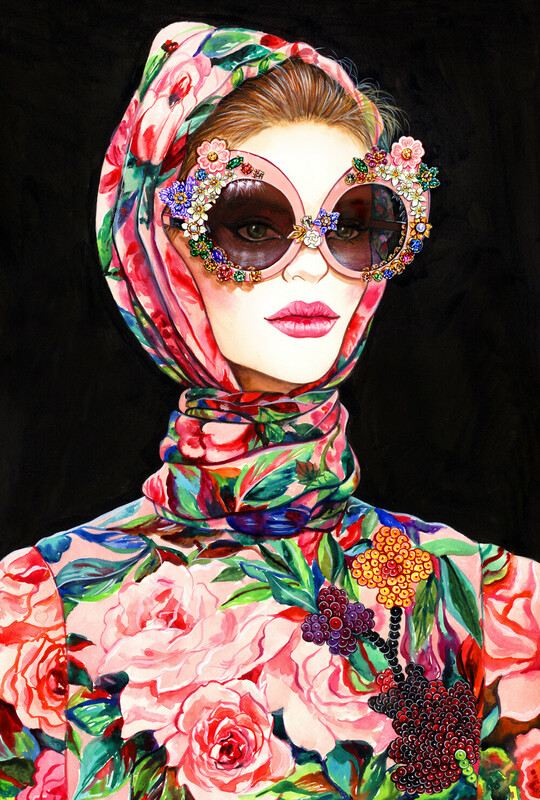 Sunny Gu is a fashion and beauty illustrator based out of Los Angeles. She has been commissioned by many renowned fashion brands, popular magazines, and other major companies, including Vogue, Elle, Bloomingdale’s, Macy’s, Nordstrom, Versace, Dolce & Gabbana, Carolina Herrera, and Neutrogena, to name a few. 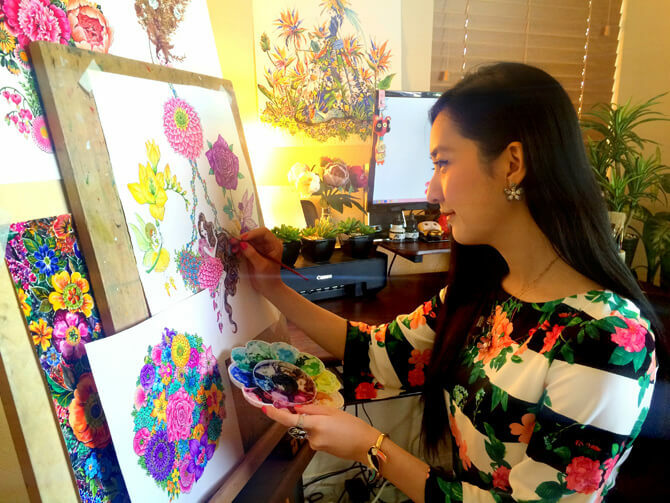 Originally from China, Sunny moved to the United States with her family at age 13, and became inspired by cultural diversity. 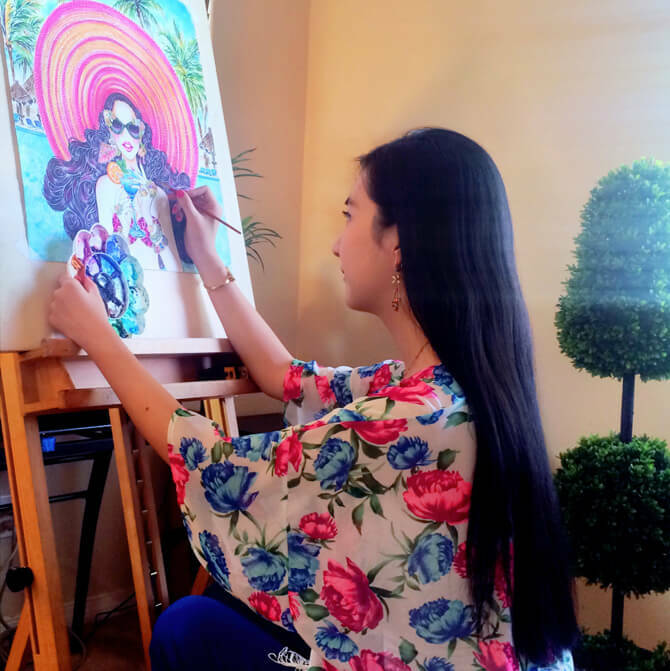 She became apt at discovering beauty in her surroundings, and finds inspiration in her daily life, flowers, fashion runways, and the people closest to her. Her illustrations typically begin with rough sketches and finish with watercolor paint, and the occasional graphite or acrylic paint for texture. She is also a digital artist for surface design and textiles. Sunny Gu painting with Princeton Series 4050 Best Synthetic Sable brush.